Capital Riverfront and Yards Park in Southeast D.C. is already the fastest-growing neighborhood is D.C., and the construction continues. 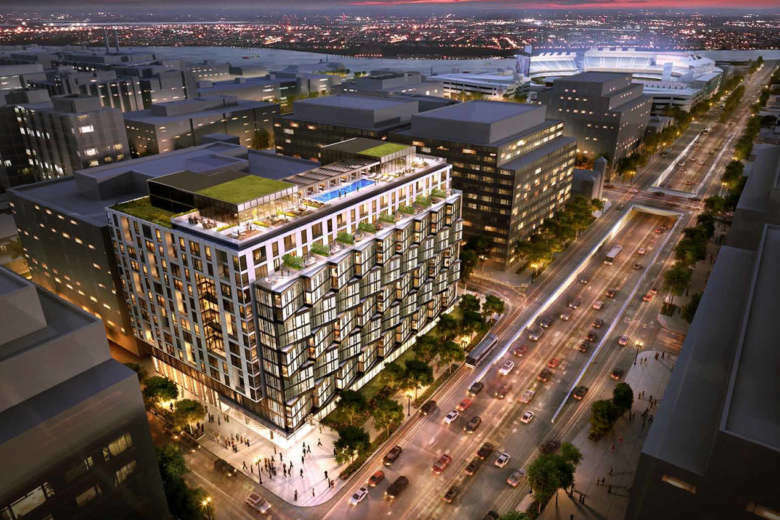 Lerner Enterprises will break ground on a 13-story, 300,000-square-foot luxury residential apartment building just steps from Nationals Park. WASHINGTON — Capital Riverfront and Yards Park in Southeast D.C. is already the fastest-growing neighborhood is D.C., and the construction continues. Lerner Enterprises will break ground on Lerner 1000 South Capitol, a 13-story, 300,000-square-foot luxury residential apartment building. Its 250 residences are steps from the Navy Yard/ Ballpark Metro station and Nationals Park. D.C.-based architectural firm Shalom Baranes Associates designed the building. Lerner 1000 South also aims to achieve LEED Silver Certification. Its fitness center will include Peloton equipment and a private yoga studio. The building will also include a private dining room with demonstration kitchen. Other amenities will include a rooftop pool and entertainment center with theater, grilling and dining areas, a pet spa, bicycle repair shop and street level retail. Capital Riverfront made Money Magazine’s list of “The 10 Coolest Neighborhoods in America” last year. The Capital Riverfront neighborhood is already home to more than 20 apartment and condo buildings with a half dozen others under construction. The Capital Riverfront Business Improvement District estimates the neighborhood’s current full-time population is now more than 8,000 and is expected to double by the end of 2019.